Apple has just released the popular iPhone 7 and iPhone 7 Plus phones, and it’s time to look ahead at the next generation of iPhones. The new iPhone will either be called iPhone 7S or iPhone 8. The latter name means a more radical update of the iPhone. iPhone celebrates its 10-year anniversary next year. It’s widely believed that Apple plans to release a truly spectacular phone with loads of new features as part of the anniversary. Hence, iPhone 8 is a more likely name. Here’s a summary of what to expect of the successors to iPhone 7 and 7 Plus. The research firm KGI Securities, which has a good track record when it comes to predicting new phone models, belongs to the iPhone 8 camp. KGI securities also bets on a 4.7-inch model and a 5.8-inch model similar to iPhone 6S Plus. Moreover, it expects glass to be used as the material on both the front and rear sides instead of aluminium, which most phone makers employ on the rear side. One reason that it’s probable for glass to be used also on the rear side is that Apple will introduce wireless charging. Metal cases like aluminium make wireless charging more difficult as it blocks the electromagnetic fields. Apple is currently developing a new wireless charging technology with a longer reach than the existing Qi technology and the technology employed by Apple Watch. Image source: Macotakara. 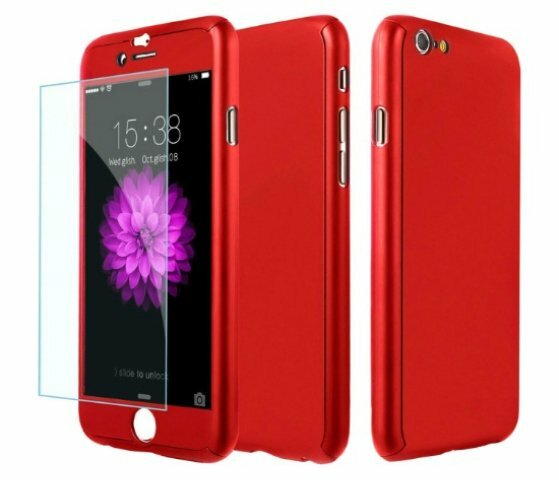 Illustration of a red coloured iPhone 8. Red is the new iPhone colour though it’s been available on older devices. The phased-out iPhone 5C also came in red. The four current iPhone colours will also be available on iPhone 7S (iPhone 8).